I tapped the twittersphere the other day for the best books on the ‘future of money’ and the new/emerging economy & infrastructures. Here’s what you came up with. Attribution below each book. Other suggestions welcome! I’m getting ready for a deep dive into this content area this fall, and appreciate all the guidance you can provide! Random House Press Release: A brilliantly clear-sighted analysis of how on-going money innovations in dozens of countries around the world are proving that they can resolve key societal problems such as: jobless growth, community breakdown, the economic consequences of an aging society, the conflict between short-term financial thinking and long-term sustainability, and monetary instability itself. This book provides pragmatic solutions to each one of these issues. 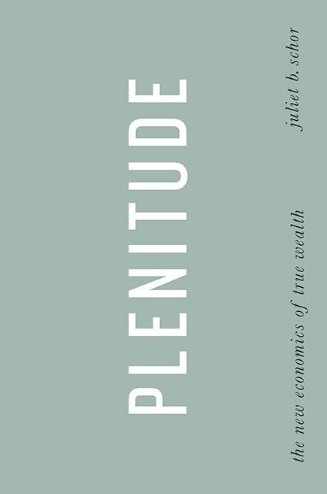 from schor’s website: In Plenitude: The New Economics of True Wealth, economist and bestselling author Juliet B. Schor offers a groundbreaking intellectual statement about the economics and sociology of ecological decline, suggesting a radical change in how we think about consumer goods, value, and ways to live. from amazon: Today’s economic crisis is the worst since the Great Depression. However, as David Korten shows, the steps being taken to address it do nothing to deal with the reality of a failed economic system. It’s like treating cancer with a bandage. Korten identifies the deeper sources of the failure: Wall Street institutions that have perfected the art of creating “wealth” without producing anything of real value: phantom wealth. Our hope lies not with Wall Street, Korten argues, but with Main Street, which creates real wealth from real resources to meet real needs. He outlines an agenda to create a new economy– locally based, community oriented, and devoted to creating a better life for all, not simply increasing profits. 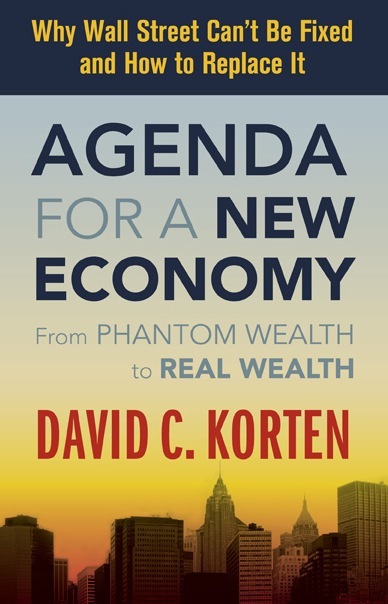 It will require changes to how we measure economic success, organize our financial system, even the very way we create money, an agenda Korten summarizes in his version of the economic address to the nation he wishes Barack Obama were able to deliver. 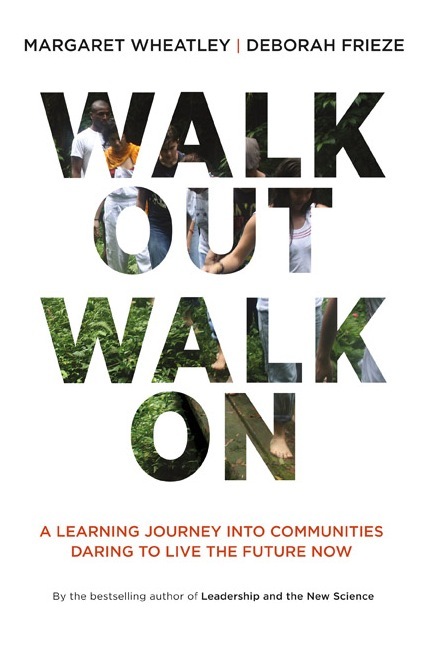 from walkoutwalkon site: In Walk Out Walk On, authors Meg Wheatley and Deborah Frieze invite you on a learning journey to seven communities around the world to meet people who have walked out of limiting beliefs and assumptions and walked on to create healthy and resilient communities. These Walk Outs Who Walk On use their ingenuity and caring to figure out how to work with what they have to create what they need. 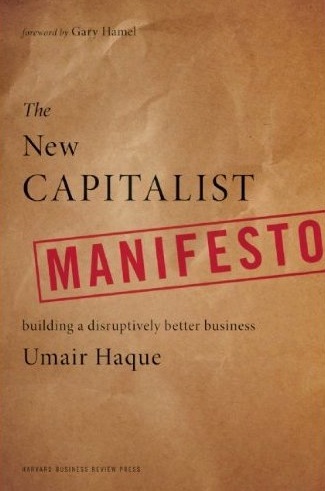 from amazon: In this manifesto-style book, radical economist and strategist Umair Haque calls for the end of the corrupt business ideals that exemplify business as usual. His passionate vision for “Capitalism 2.0,” or “constructive capitalism,” is one in which old paradigms of wasteful growth, inefficient competition, and self-destructive ideals are left far behind at this reset moment. According the Haque, the economic crisis was not a market failure or even a financial crisis, but an institutional one. 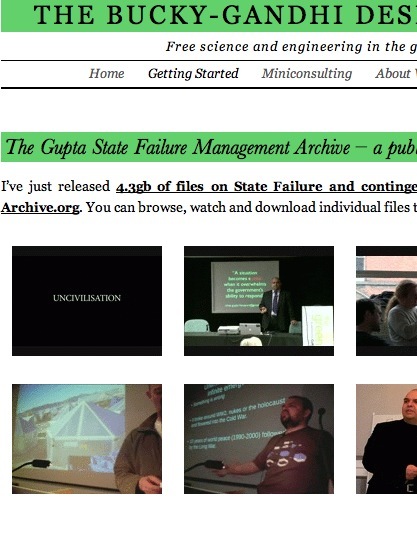 4.3gb of files on State Failure and contingency management released into the public domain athttp://Archive.org by Vinay Gupta. The Archive focuses on physical infrastructure like water plants and power stations, and on how we govern those assets at both a practical and a political level. It is designed to highlight the governance questions around running critical infrastructure during long emergencies like financial collapses, but applies equally well to trying to puzzle out how to manage our 21st century economies and their complex technical assets. from amazon: Every economics textbook says the same thing: Money was invented to replace onerous and complicated barter systems—to relieve ancient people from having to haul their goods to market. The problem with this version of history? There’s not a shred of evidence to support it. Here anthropologist David Graeber presents a stunning reversal of conventional wisdom. 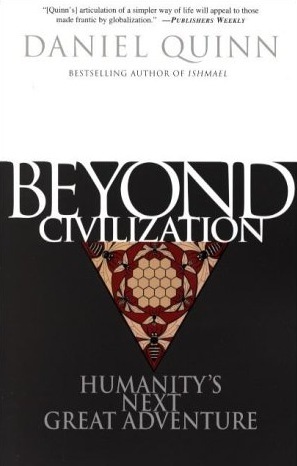 He shows that for more than 5,000 years, since the beginnings of the first agrarian empires, humans have used elaborate credit systems to buy and sell goods—that is, long before the invention of coins or cash. 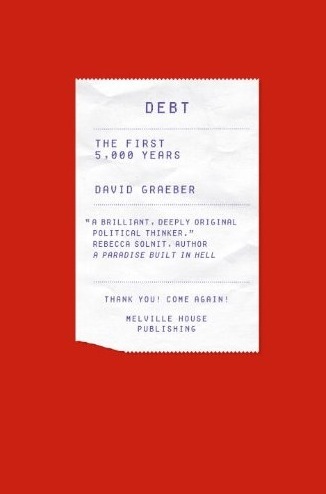 It is in this era, Graeber argues, that we also first encounter a society divided into debtors and creditors. from amazon: We live in an oil-dependent world, and have got to this level of dependency in a very short space of time, using vast reserves of oil in the process – without planning for when the supply is not so plentiful. 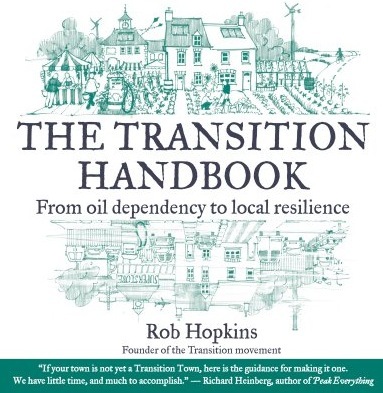 Most of us avoid thinking about what happens when oil runs out (or becomes prohibitively expensive), but The Transition Handbook shows how the inevitable and profound changes ahead can have a positive outcome. These changes can lead to the rebirth of local communities, which will grow more of their own food, generate their own power, and build their own houses using local materials. They can also encourage the development of local currencies, to keep money in the local area. 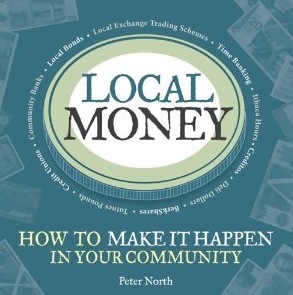 from amazon: Local Money is an exciting and practical guide to creating local currencies – showing how they can help us unleash the power of our communities to build a resilient economic future. The economic crisis and the bailing out of the banks by taxpayers has made us all aware of the vulnerability of our financial system. We need to think urgently about how to reclaim the power that the bankers hold. In past recessions and depressions across the world, communities have done just that – by creating their own forms of money. Local Money shows how this is possible. This book is an inspiring guide that helps you understand what money is and how you can create money that stays in the community – building loyalty between consumers and local traders rather than losing wealth to the corporate chain stores. 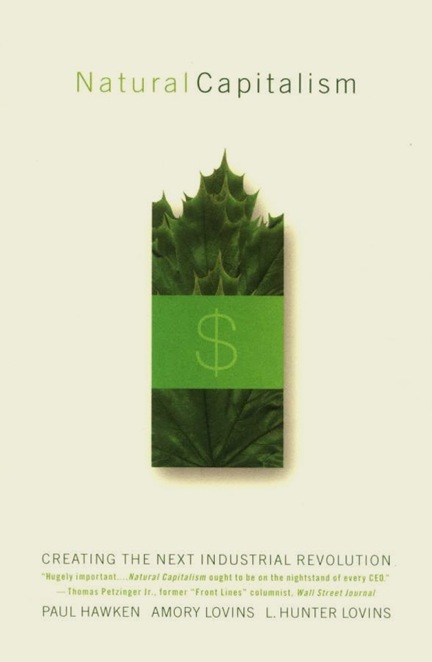 It explains how alternative currencies can work with local banks and credit unions to strengthen the local economy, supporting the local production of necessities such as food and energy while helping to reduce the community-s carbon emissions. Local Money draws on the long history of local currencies, from Local Exchange Trading Systems and -time banks- to paper currencies such as BerkShares, Ithaca -Hours- and German regional currencies, which circulate between local businesses as an alternative to their losing trade to the -big box- retailers. The story culminates in the development of the first Transition currencies, the Totnes, Lewes, Stroud and Brixton Pounds. from amazon: Hawken (The Ecology of Commerce) and Amory and Hunter Lovins of the Rocky Mountain Institute, an environmental think tank, have put together an ambitious, visionary monster of a book advocating “natural capitalism.” The short answer to the logical question (What is natural capitalism?) is that it is a way of thinking that seeks to apply market principles to all sources of material value, most importantly natural resources. The authors have two related goals: first, to show the vast array of ecologically smart options available to businesses; second, to argue that it is possible for society and industry to adopt them. Hawken and the Lovinses acknowledge such barriers as the high initial costs of some techniques, lack of knowledge of alternatives, entrenched ways of thinking and other cultural factors. In looking at options for transportation (including the development of ultralight, electricity-powered automobiles), energy use, building design, and waste reduction and disposal, the book’s reach is phenomenal. It belongs to the galvanizing tradition of Frances Moore Lapp?’s Diet for a Small Planet and Stewart Brand’s The Whole Earth Catalog. Whether all that the authors have organized and presented so earnestly here can be assimilated and acted on by the people who run the world is open to question. But readers with a capacity for judicious browsing and grazing can surely learn enough in these pages to apply well-reasoned pressure. 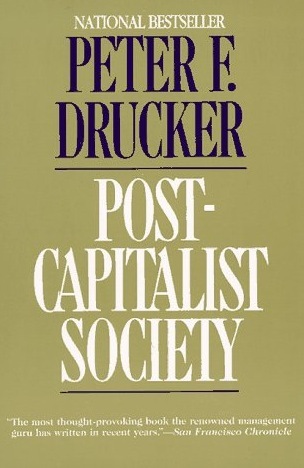 from amazon: Drucker’s vision of a “post-capitalist society”–one in which knowledge is the basic resource and nation-states compete with transnational, regional and tribal structures–is hardly original. What is new in this invigorating essay is his far-reaching analysis of the economic crisis of militarized, wasteful “megastates” like the United States and the former Soviet Union, which have failed to bring about a meaningful redistribution of income. Improving American productivity, he writes, will require investment in human resources and infrastructure (as Japan, Germany, Korea and Taiwan have done) and a drastic restructuring of organizations, including the elimination of most management layers. The federal goverment, Drucker asserts, should contract out tasks in the social sphere, confining itself to the role of policymaker. Among his other provocative proposals: jettison military aid to other countries; create a public audit agency to eliminate pork-barrel deals and special-interest politics; and hold schools accountable for students’ performance. He also urges the creation of transnational institutions to cope with the environment, terrorism and arms control. History of managerial capitalism: Zuboff (1998) In the Age of the Smart Machine, Zuboff also wrote The Support Economy (2004): offering the idea of distributive capitalism…. Seminal: The Sublime Object of Ideology (2009) as part of The Essential Zizek offers a critique of ideology that would be helpful as the new economy networks emerge. Many more Zizek works salient here…. Great list – I was pleased to find a free PDF of The Future of Money, because I’m always telling people to read it. I’d add Charles Eisenstein’s “Sacred Economics” and, perhaps, The Wealth of Nature, by John Michael Greer – it’s sitting my desk, but I haven’t read it yet. Pretty interesting list. Any top recommendations for those of us who read slowly and don’t have a lot of time? 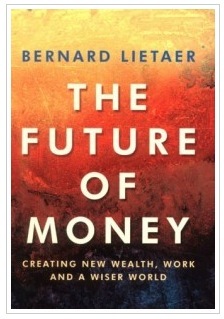 *The Future of Money (the first book) – that link is not to the book, only a presentation. This is by far the best book on the subject, hands down. I compare it to what they said about “The Velvet Underground and Nico” – it only sold a few copies, but is one of the most influential album ever, because, as they say, “everyone who got a copy started a band”. 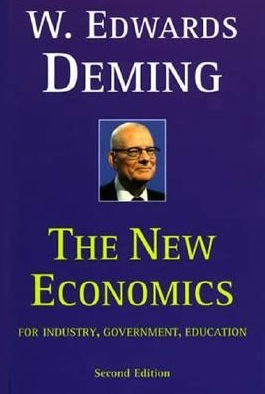 Same with the Future of Money – it will turn your worldview upside down and inside out, whether you are an economist or anyone really… unfortunately, it quickly went out of print, on the whim of the publisher, who has the rights, and it is hard to get a copy for less than $100. If you can interlibrary-loan it, you must. *Lietaer also came out with a book with Gwendolyn Hallsmith, called “Creating Wealth: Growing Local Economies with Local Currencies”, which I just received. I wonder if whim was the publisher’s reason for stopping the print run of The Future of Money. Sounds like it was uncomfortably on target. Another ‘inconvenient truth’, though not a sales pitch this time. So many of these works are utopian, and while well-conceived and detailed, making perfect sense, without real power behind them, cannot be broadly implemented. For instance, government management and stewardship of public infrastructure and resources is a great idea, but the trend is toward privatization. I confess I’m frustrated with utopian economics without the power necessary to install them. Local currencies and sharing communities may be our best response. I can recommend Tom Greco’s book – The End of Money and the Future of Civilisation. His analysis is, in my view, a cut above most of what is out there. If you can explain new approaches to money in the language of Hayek and the Austrian Economists, you’ll have lots of fans in the liberty movement. As an easy-reading book and bringing insights from someone who lived in another part of the world, I would recommend “The Value of Nothing : How to reshape market economy and redefining democracy” by Raj Patel. Lietaer insists on ‘diversity’ to caution the emergence of complementary currencies. It looks like the future of money rests on the creation of new currencies. Patel’s book go even further challenging current’s society mindset about money bearing intrinsic value. That’s a bigger challenge because it means a complete redefinition of equity and welfare criteria. That’s a very important subject indeed. Money in general creates the illusion that value is discretely quantifiable. If I can buy 2 oranges for a dollar, and 2 apples for a dollar, does that mean that the value for both is exactly the same? If the economy is a “social science that analyzes the production, distribution, and consumption of goods and services” (Wikipedia), does that mean that it regularly deals with a loving parent or a healthy ecosystem, all of which are services? Economics is powerful within itself, but is small in the grand scheme of things. We cannot quantify what is purely qualitative. Modern science has taken the notion of measurement as a superstition, as what determines all that is real. I am not sure if complementary currencies will change this fundamentally, though the inherent scarcity of conventional money and the values it fosters give it a place in our lives that it shouldn’t for we should remember is a only a medium. This is really a culture that has really been brought on by the extreme liquidity of money, and that we need to change – we need to abandon the obsession with measurement, putting it in its rightful place as a tool, and use our intelligence and emotions to judge what is valuable. Money and measurement are crude, and humanity is more intelligent than we have chosen to embrace. I posted a great comment with LOADS of links to great books which I’m guessing must still be stuck in your spam queue? do you have any idea around the date you posted? i just noticed i have over 2,000 items in my spam folder and i don’t have time right now to dig through each page, but if you remember the time it would help me find your comment. Now we repeat the 1929 crisis. I like ! Thanks for this site good job! You’re so interesting! I don’t suppose I’ve read through a single thing like that before. So good to discover another person with a few genuine thoughts on this issue. Seriously.. thank you for starting this up. This web site is something that is needed on the web, someone with some originality! The details and also hints dreadfully multipurpose to me. to here’s retrieved. Thanks once more! This is a win-win situation for both parties when it comes to approaching and finding the best list you could ever mail to is your very own customer list. organization, begin with a comprehensive understanding of your campaigns response rate. they’re discussing on the web. You actually realize how to bring a problem to light and make it important. hundred and eighty degree change and save the planet. With no formal re-launch date scheduled, lovers looking to put in the mini-program on new gadgets will be eagerly awaiting any extra news. carry the game again and make even additional money from it. then follow suit. Other people could imagine of her as “Over-acting”, or “Over-reacting”. On peut vous dire que ce n’est guère erroné ..
Wow! In the end I got a website from where I be capable of in fact obtain valuable information regarding my study and knowledge.